Ramon F. Miguez is an infrastructure veteran who has implemented large, multifaceted capital improvements programs in three Southwestern United States cities. He received his Bachelors of Science in Civil Engineering from the University of Texas at Austin in 1975 and joined Forrest and Cotton where he honed his engineering skills working on water, wastewater and transportation projects. Mr. Miguez later joined the city of Austin’s water department and was responsible for their in-house pipeline design group. 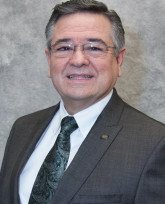 Mr. Miguez was named director of engineering for the city of Phoenix, where he developed and implemented the city’s capital improvement program (CIP). In 1989 Mr. Miguez entered the city of Dallas as the director of Public Works where he served for five years. He completed the implementation of the 1984 CIP, and developed and initiated the 1989 and 1994 CIPs. In 1994 he was named Housing Director, and Street, Sanitation and Code Enforcement Director in 1995. One year later he was appointed assistant city manager where he oversaw multiple departments, including Aviation, Convention and Event Services, Public Works, Sanitation, Streets, and Water Utilities. He joined HDR as their North Texas Operations Manager in 2009, where he is responsible for managing the company’s engineering services in North Texas with offices in Dallas, Fort Worth, and Oklahoma City as well as their Panama City, Panama office.